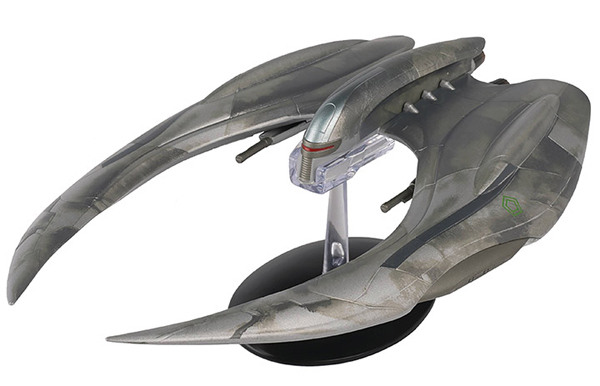 New for 2018: Eaglemoss, maker of Star Trek: The Offical Starships Collection, is launching a series of oversized diecast models based on Battlestar Galactica. Each of the ships will be between 8 and 11 inches long. This new series will feature models from both the classic and the 2004 series. Eaglemoss has worked closely with members of the modern Galactica VFX team to ensure that the models are as accurate as possible. The accompanying magazine profiles each ship and features interviews with the show's creaters including Ronald D. Moore.